The researchers argue that in spite of all this, they key to taste is really smell. “Work in neurogastronomy argues quite strongly that [smell] is the central contributor [to flavor perception]”, says Varshney. If that sounds counter-intuitive, think about how bland your food tastes when you have a bad cold – your taste receptors are working fine, but you can’t smell a thing. But how does the program know how a dish smells? It all comes down to chemistry. The software goes through all the different flavor molecules in a recipe and looks up their chemical properties - these include technical terms like “topological polar surface area, heavy atom count, complexity, rotatable bond count, and hydrogen bond acceptor count.” By comparing these chemical properties to that of 70 other odor molecules, the researchers can predict how ‘pleasant’ a particular molecule will smell. 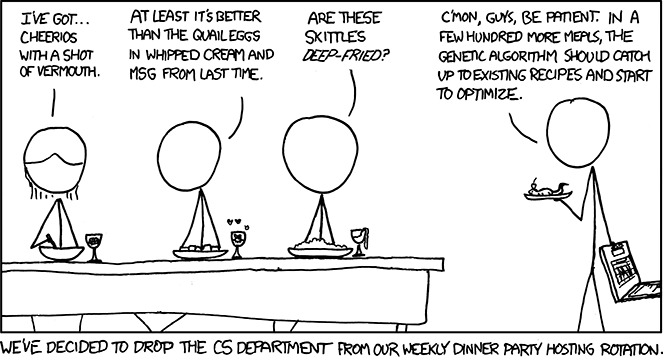 They then mix the scents of different molecules together on the computer, and arrive at an overall ‘pleasantness’ of smell of each dish. Think about how surprising this is for a moment – they’re predicting how pleasant a dish will smell using the chemistry of the flavor molecules inside the it!